Berluti introduces its new, smart, quirky toys for boys to extend the range of products launched last September. Lovers of fine objects will be able to build on their collections throughout 2016 with the launch of more fun, smart accessories. The patinated Venezia leather watch case is designed to hold two watches and fits snugly into your hand luggage. Its beautiful dipped lambskin lining and central divider provide the best protection against damage whilst on the move. In three fun colourways: Tobacco, Rosso or Blu this is the quintessential accessory for watch lovers with a taste for travel and a love of fun objects. Berluti has joined forces with German high-end fitness manufacturer Hock Design to create minimalist dumbbells. 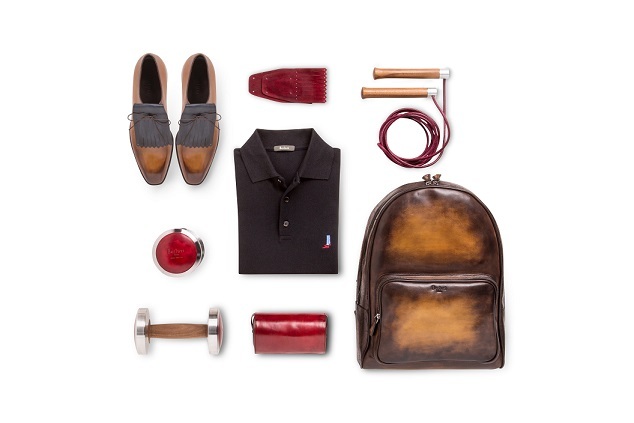 For the gentleman with a penchant for fine quality equipment to work out in style wherever they may be. These unique dumbbells are assembled using a sophisticated mechanism without bolts or screws to ensure perfect stability. The weights are crafted from ultra-strong rustproof aluminium with Venezia leather covering the polished and oiled American walnut handgrips to give this sports accessory its distinctive style and timeless appeal. 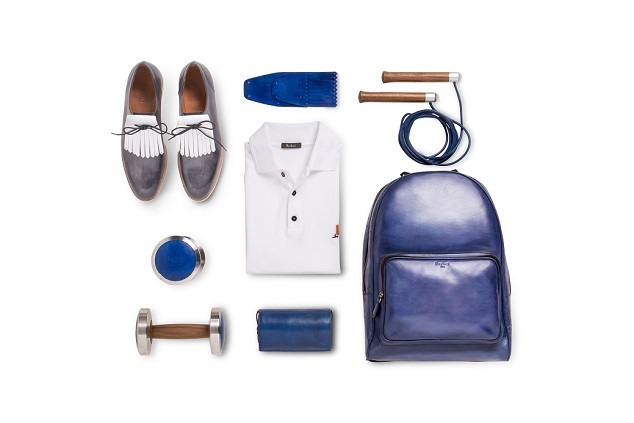 A skipping rope adds the finishing touch to the sporting gentleman’s kit. It is light, elegant and with ball bearings and screw-free fitting mechanism to for precision. The wood and steel handles are teamed with a vegetable-tanned leather rope to create a stylish contemporary design.